A photograph is not a separate entity; it is a part of you which lives forever, much after the special moment is gone. A photograph is a captured part of your life which will stay in your family for years to come. The camera is often considered to be one of the most beloved inventions in history, and with good reason. Such has been the advancement of technology, that today we’re living in a world of digital cameras where images can come to life in a matter of seconds. However, once you dip into the market, you will come across a wide array of options which can often make you feel confused. So to make the shopping process easier, here is our list of the best DSLR cameras under 800 dollars. These models are ideal when you are ready to shell out a decent amount of money, and also particular about the features you get in the bargain. This camera from Canon is a successor to Canon EOS 700D, and it looks similar to 700D, but a lot of other things have changed. Launched in the year 2013, this packs an APS-C size sensor. The amount of detailing on this camera is great. The number of focussing points present makes it easier to focus. Nice ergonomics and quick response. The touch screen LCD is a really great feature that makes it very easy to use the camera. There is a 3.5mm mic port available. The EOS companion app goes along well with the camera. As far as the dynamic range is concerned, the camera is behind the other options available in the market. The live view makes it very tough to focus on objects that are constantly moving. The camera lacks 4K video recording. The fully articulating screen is 3 inch large, and there are 1,040,000 screen dots. There is also a viewfinder which is optical in nature, and its coverage is 95%. There are numerous exposure modes present to select from, like Program, Shutter priority, Aperture priority, Manual and Scene Intelligent Auto. Built-in flash is available, and you can also attach an external flash through hot shoe. The continuous drive offers a rate up to 5fps. The camera has a weight of 550grmas and its dimensions are 5.2 x 3.98 x 3.07 inch. Compatible storage formats offered are SD/SDHC/SDXC. With this camera you can record video of resolution 1920 x 1080. 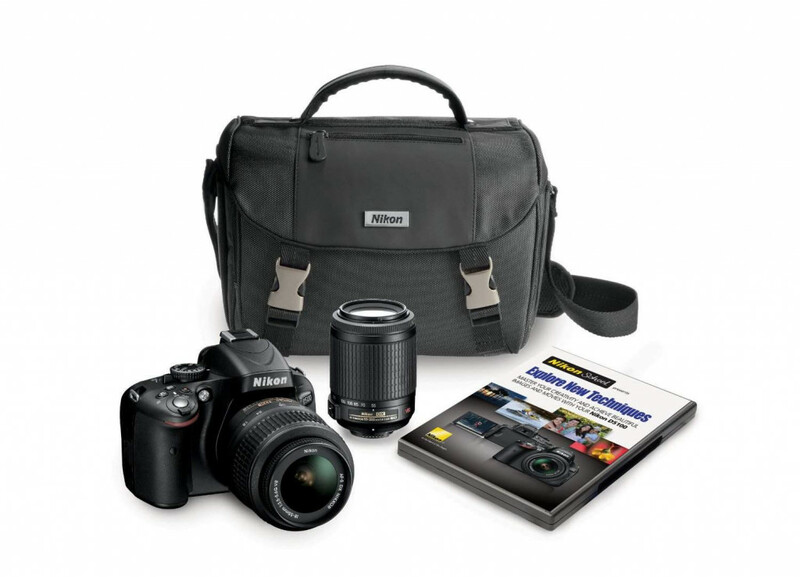 This entry level DSLR was launched in 2014, and is one of the most popular cameras among photographers. Nikon has been working hard for years to make high end technology available to customers at a low cost, and this camera achieves that goal perfectly. As far as APS-C size sensor is concerned, this camera is on the top. The body is lightweight and has been structured to offer a nice balance. The video capability of this camera is great. Battery life is exceptional and gives you up to 700 shots according to the CIPA ratings. The dials of this camera are a boon for shooting in various priority modes. The camera can be customised with the help of Fn buttons. The panorama doesn't work so well. You cannot change the aperture of this camera while it is functioning in live mode. The Auto focus isn't quick enough when you are working in live view. It is a whooping 24MP camera. Nikon has used Expeed 4 processor for processing functions of the camera. It also gives you the option of shooting uncompressed RAW files. It has a Nikon F lens mount to mount different lenses. The camera has an optical type viewfinder, and weighs 430 grams. The dimensions of this camera are 4.88 x 3.86 x 2.99 inches. It includes a mono microphone and a mono speaker. Canon has come out with one of the world's smallest, lightest cameras which have an APS-C size sensor in it. The USP of this camera is its light and small body design. Let us have a close look at the positives, negatives and its specifications. The performance of this camera even at high ISOs is commendable. The Chromatic aberration correction has been working out really nicely with this camera. There is an option for full HD video recording. There are various night modes present that are very useful. The touch screen is resistant to finger print smudges, so you don't need to clean it again and again. The TFT LCD screen is quick to respond, and the auto focus in live view has been significantly improved than its previous models. The grip may seem a little less when you are using large lenses. The camera is not at par with others when it comes to default dynamic range. Option of wireless remote controlled flash is lacking, and the LCD is fixed. 5184 x 3456 is the maximum resolution that the camera offers. It is an 18 MP camera, and processes images using Digic 5 processor. The maximum boosted ISO that can be reached is up to 25600. The file formats in which it can shoot are JPEG: Fine, Normal and RAW: 14bit RAW. The camera being light, weighs just 407 grams. 10 Best Digital Cameras Under $400 To Boooooom Your Skills! This low end DSLR is from the leading manufacturer in the photography world i.e. Nikon. The camera is a perfect choice for photography enthusiasts. Nikon is not only known for its amazing products like this camera, but they are also known for their after sales services. The high resolution LCD screen is adjustable and can be articulated. The auto focus in live view is comparably much faster than other DSLRs in the same price bracket. There is also in-camera RAW conversion available in it. There are various effect modes which are fun to use. The complete Auto Focus system is very nice and well thought out. You will get images which are very crisp and of great quality. Focussing compatibility with other lenses is questionable. There is no histogram available for viewing when you are shooting in live view. The movie mode is not refined and neither is the live view. The controls are not placed well and they take some time to get used to. It has 11 focus points and the ISO goes from 100 to 6400. Continuous shooting can be done at a rate of 4 frames per second. This camera has 3 inch LCD monitor, with 170 degree viewing angle and 100% coverage. The camera is 560grams in weight including battery. The flash X-sync is up to 1/200 sec, whereas the electronically controlled shutter speed goes up to 1/4000 sec. This APS-C sized sensor DSLR from Nikon is aimed at advanced beginners. 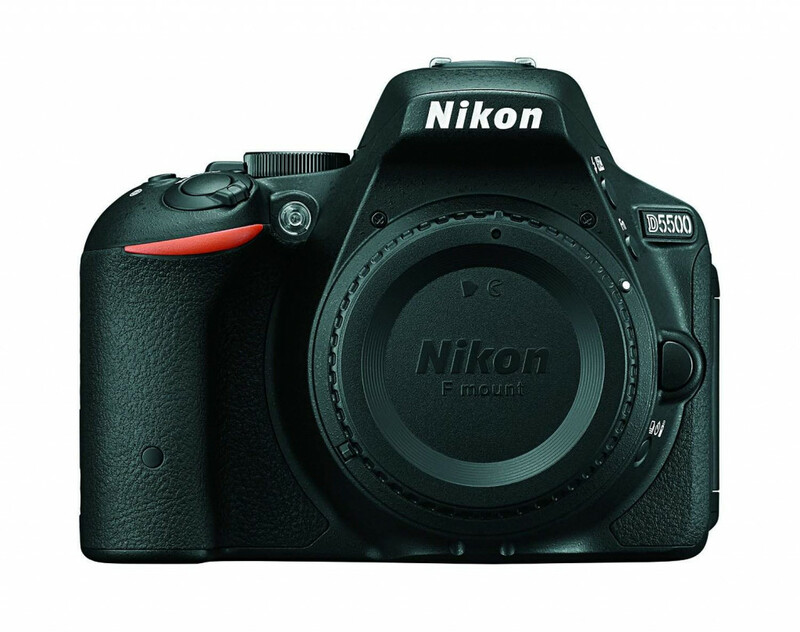 The camera might be considered a successor to D5200. It is a lot like its predecessor in the way it is built, and the way its ergonomics are. Sitting proudly in this list of top DSLR cameras for under 800 dollars, our reasons for liking this model is a no brainer. The camera provides you with great images. There is customizable button on the camera which can be customized to change any setting you like. The LCD screen is fully articulating. It comes with built-in Wi-Fi which provides for easy connectivity. There are 39 points for autofocus array. There is also a wide range of scene modes which you can have fun with, including Child, Beach, Candlelight, Food, Landscape, Sports and Portrait. There is only one customisable button. The menu on screen is a little tough to operate. There is a lot of lag in the magnified live view option. The camera can shoot images at a maximum resolution of 6000 x 4000. It is a 24 MP camera, and uses expeed 4 processor. The colour filter array is a primary colour filter, and there are 12 white balance presets. 1.5x is the focal length of the multiplier. There is a viewfinder on the camera which has a coverage of about 95%, and has a magnification factor of 0.82x. The various exposure modes that are available for use are Manual (M), Aperture priority (A), Shutter-priority (S) and Programmed auto with flexible program (P). 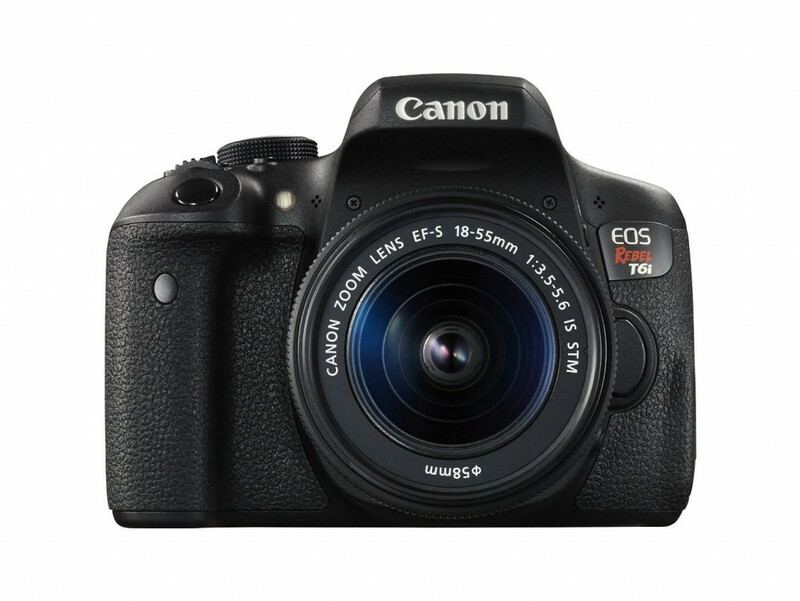 The successor to Canon EOS 650D is this camera launched by Canon, a brand that is well known for their innovations in the field of photography. This model is targeted towards beginners who are just stepping into the world of photography. The touch screen of this camera is really great and the camera has user friendly interface. The subject tracking AF mode is amazing. The HDR mode is very effective in operation. There is a provision of built-in stereo mic. It offers 5fps rate and also has a self timer option. The noise performance isn't as good as its peers. Battery life of the camera is poor and the dynamic range of the camera isn't as great as others. The hybrid auto focus is not fast enough. The camera has an APS-C size sensor which is a CMOS sensor, and the camera is 18MP. Canon EF/EF-S is the lens mount. There is an optical viewfinder available. There is a fully articulated 3 inch LCD screen with 1,040, 00 screen dots. There is a pop-up flash which has a range of 13.0 meter. There is also a hot shoe which can be used for external flash. SD, SDHC and SDXC are the supported storage types. 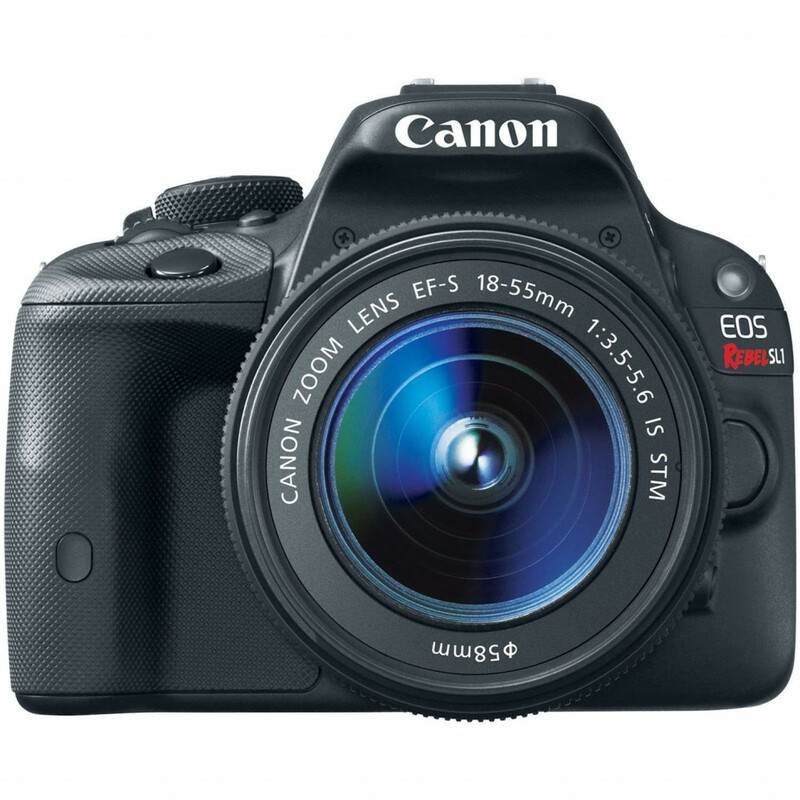 The camera comes with a Lithium-Ion LP-E8 battery which is rechargeable. It weighs 580 grams and the exposure compensation is ±5. A lighter body with a better grip than its previous models has been one of the few major changes that makes Nikon D550 the first choice for a lot of photographers. It also packs in a faster processor. The dynamic range on this camera is pretty good and it shoots sharp and clear images. The 3.2 inch LCD is adjustable, which provides more freedom to the photographer. Video quality and battery life of this camera is really nice. The camera has great connectivity as it comes with a built-in Wi-Fi. Its body is compact and it is also not heavy, which makes it easy to carry around. The fine details of JPEGs get smudged at higher ISOs. The buffer memory is not good; it is limited, which affects the continuous shooting of the camera. The buttons being small are tough to use. It also lacks an aperture control. The file formats that it supports are JPEG: Fine, Normal, Basic, DPOF compatible, RAW: 12- or 14-bit, compressed and DCF 2.0 compliant. It also has an auto focus assist lamp. There are 1,037,000 screen dots on TFT LCD monitor. It has a built-in flash as well as a hot shoe. The camera also has a self timer which can be set at 2s, 5s, 10s or 20s. Videos can be recorded in MPEG-4 and H.264 format. There is a USB 2.0 and mini HDMI port. The camera just weighs 420 grams. 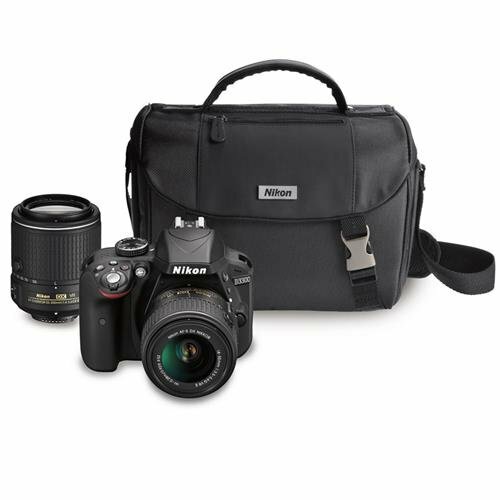 Bring home the excellence of Nikon packed in this perfect camera. 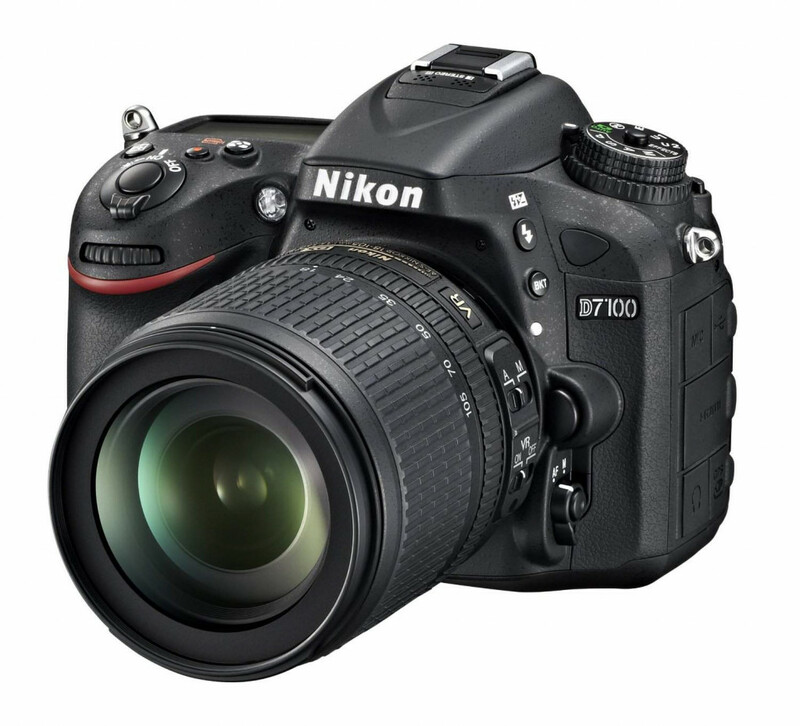 We present the Nikon D7100, which is an ideal partner for all your photography and creativity needs. This amazing camera from the home of Nikon comes along with wireless sharing and many super cool features that are about to mesmerize your senses and make you fall in love with photography. It flaunts an amazing photo quality with a whopping 24.1 Megapixel resolution to allow you to take pictures without restrictions. With a DX format image sensor and an amazing speed of shooting 6 frames per second for up to 100 continuous shots, this camera rightly features in the A-list of all cameras. The option to share the data wirelessly along with a control through a WU-1a adapter is indeed a brilliant feature of this product. With a great auto time focus of 1080 pixels, this camera takes the best possible pictures even in the worst environmental conditions. The WU-1a Adapter has not been provided with the camera set, and one has to buy it separately. The camera is a bit heavy and weighs 1.69 pounds, which is a little heavier than the average weight. Comes with 51 types of Autofocus points. Auto Focus Technology with Contrast detector, Phase detector, Multi-area, centre, selective single point, tracking feature, face detection and live view feature. Equipped with 24.1 Megapixels of resolution along with an ISO range from 100 to 6400. A built-in stereo mic provides an amazing experience to the photographer. From the wonderful minds of the brilliant company Pentax, we present the best camera you can get your hands on. 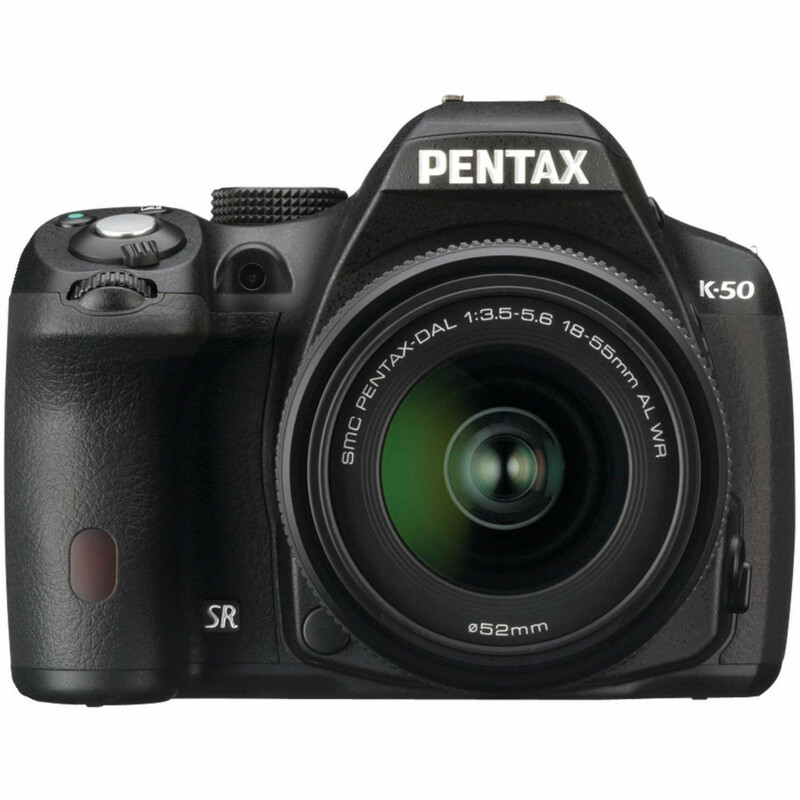 Pentax K-50 is indeed the best friend for your curious fingers. The camera comes along with an amazing high performance APS-C CMOS Image sensor, and is indeed the thing you need to give your photography career the boost it needs. The camera has a really awesome resolution of 16 megapixels, with a perfect balance between image quality and resolution. Two special types of lenses, the DA L 18-55 and the 50-200WR are provided with the camera. The camera has an Eye-Fi Card compatibility with Eye-Fi wireless SD Cards, which allows the user to send images to a smartphone. Users can also enable automatic transmission of images to a smartphone for sharing. You can even select favourite images and resize them before transmission. The average battery life is just 410 photos, which is less when compared to the average battery life of its competitors. The camera weighs 1.43 pounds and is thus, a bit heavy to carry. It has an ISO Speed of up to 51200 and high sensitivity shooting up to 51200 ISO range, which improves the noise performance even in low lighting. The Innovative In-body Shake Reduction, the PENTAX in-body along with a sensor-shift, image stabilization feature and dust reduction technology ensure that you get the perfect sharp, stabilized, levelled and dust free images. The camera is weather sealed, dustproof, and cold proof with 81 weather seals to ensure that your K-50 stays alive even in the worst possible environmental conditions even up to -10 degrees. 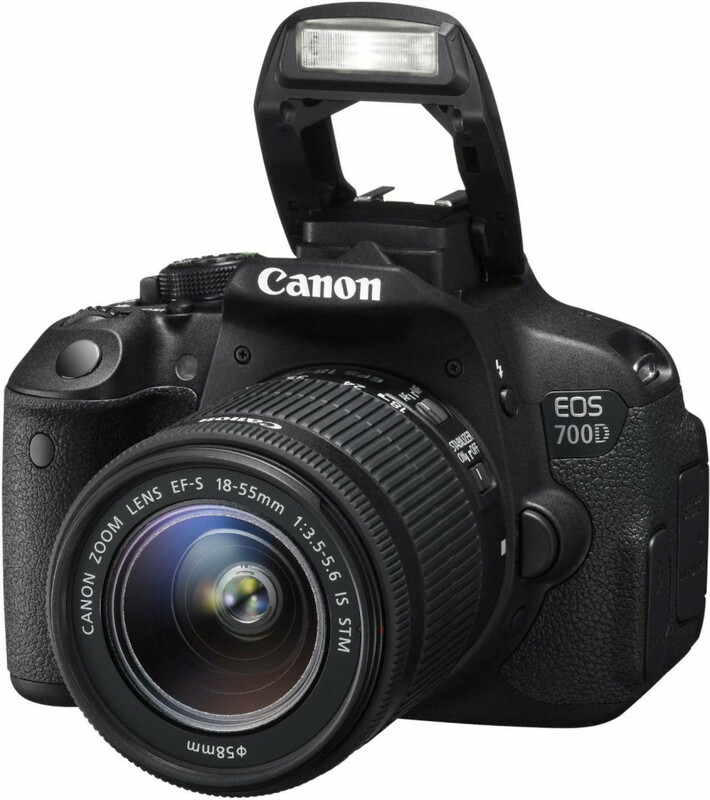 Last but not the least on this list of good DSLR cameras under 800 dollars is the Canon EOS Rebel. Soak in the amazing vibe of Canon and get your hands on the perfect device to explore this world, and get the perfect pictures at the perfect time. Presenting, the Canon EOS Rebel T6i, which is an amazing Digital Single Lens Reflex camera designed to give you the best photography experience. The camera had an amazing resolution of 24.2 Megapixels along with a CMOS APS-C sensor in order to ensure that you capture the perfect moments in the perfect quality. It has a EOS Full HD Movie Mode which helps capture brilliant results in MP4 format. It has a high speed continuous shooting up to 5 frames per second, which allows you to capture fast action without any problem. The device has an amazingly well designed EF-S 18-55 mm IS STM lens along with a 19 point all cross type AF system, to allow superb autofocus performance. It has an average battery life of only 440 photos, which is less than the average life of its competitors. Its weight is about 1.22 pounds, and it is thus, quite heavy. The camera has an auto focus technology with the following options: Contrast Detect (sensor), Phase Detect, Multi-area, Centre, Selective single-point, Tracking, Single, Continuous, Touch, Face Detection and Live View. It has an amazing aluminium alloy chassis along with a composite exterior. The gadget comes with a built-in Wi-Fi and NFC. It has a perfect ISO range of 100-12800 which is also expandable to H: 25600. Equipped with a 19 point all cross type AF system which helps you to capture motion with minute detailing. Next Read: 8 Best DSLR Cameras under $700 for Awesome Shots! So now you have a fair idea about the types of cameras you can purchase with a maximum budget of $800. But do you think we’ve missed out on something in this list? 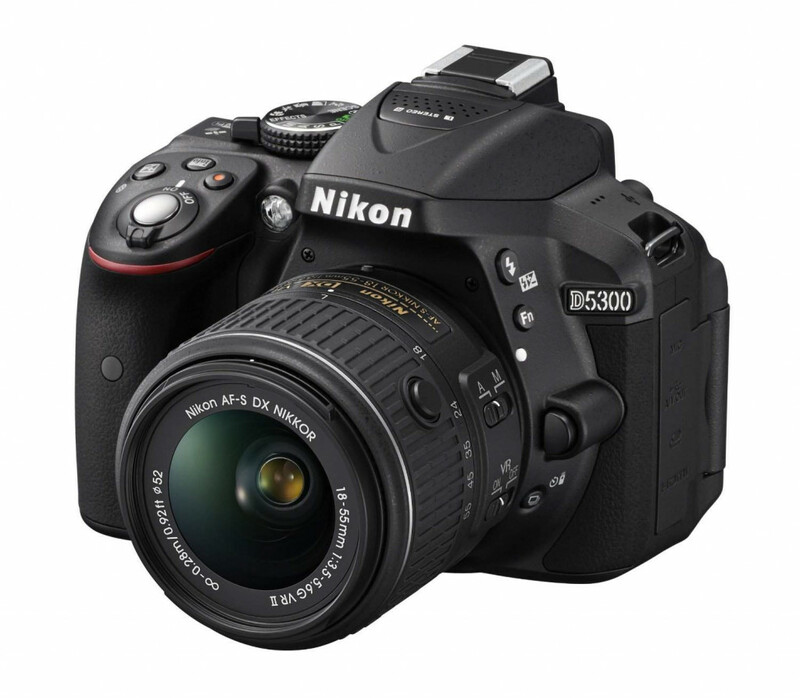 If you think there’s a camera out there which deserves to be on this list presenting great DSLR cameras for 800, do let us know and we will be happy to include your suggestions.